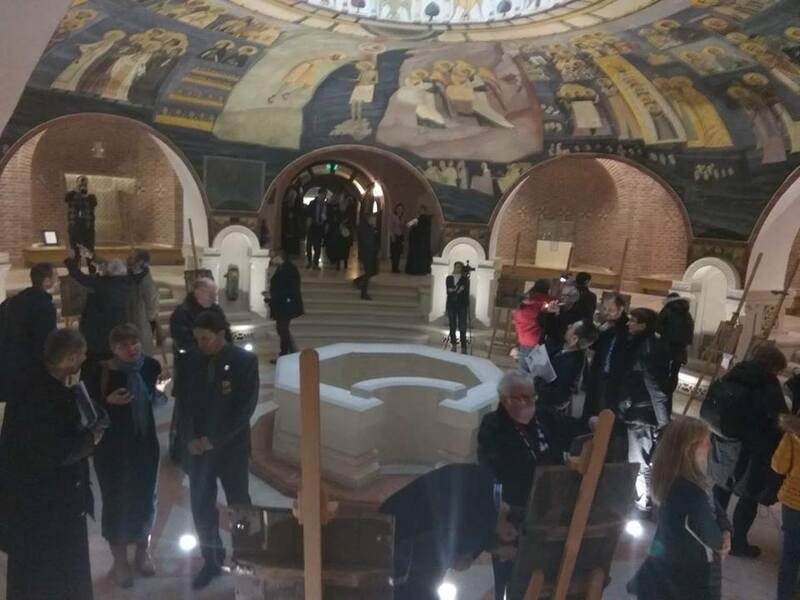 The Icons on Ammo Boxes project was presented Friday in the Romanian city of Iasi as a special event during the Inaugural Conference of the International Orthodox Theological Association, “Pan-Orthodox Unity and Conciliarity.” Twenty-seven icons painted by Kyivan artists Oleksandr Klymenko and Sofia Atlantova on ammunition and weaponry boxes brought from combat area were exhibited on the initiative of the IOTA president and founder, Dr. Paul L. Gavrilyuk. 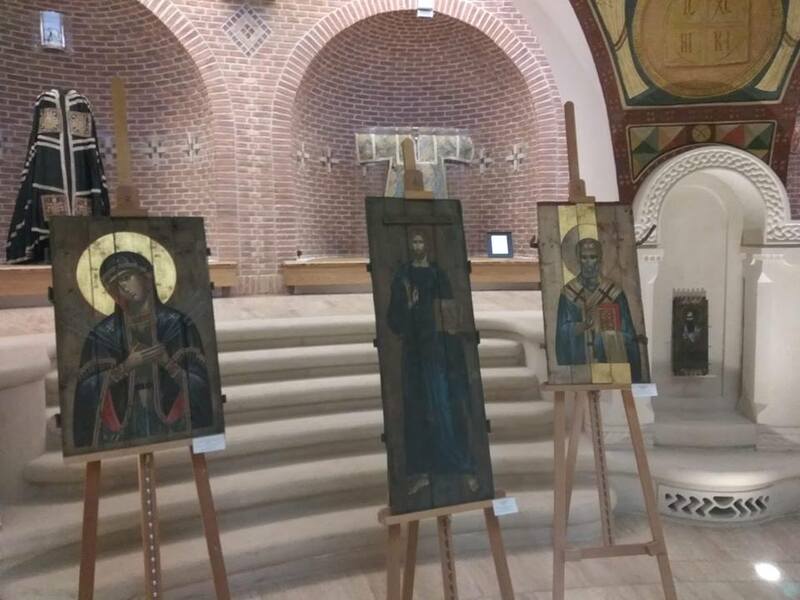 The Pirogov First Volunteer Mobile Hospital vice president for logistics, Ihor Buybol delivered the artists and their icons from Kyiv to Iasi. 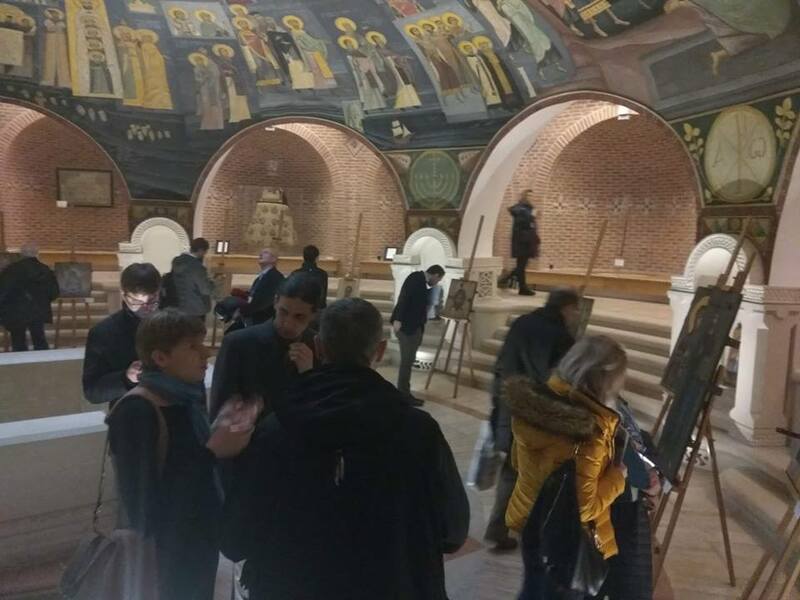 “This meeting is the most authoritative theological conference, a kind of ecumenical scientific council, so it is a great honor to expose our works within the framework of such an event,” Oleksandr Klymenko said. 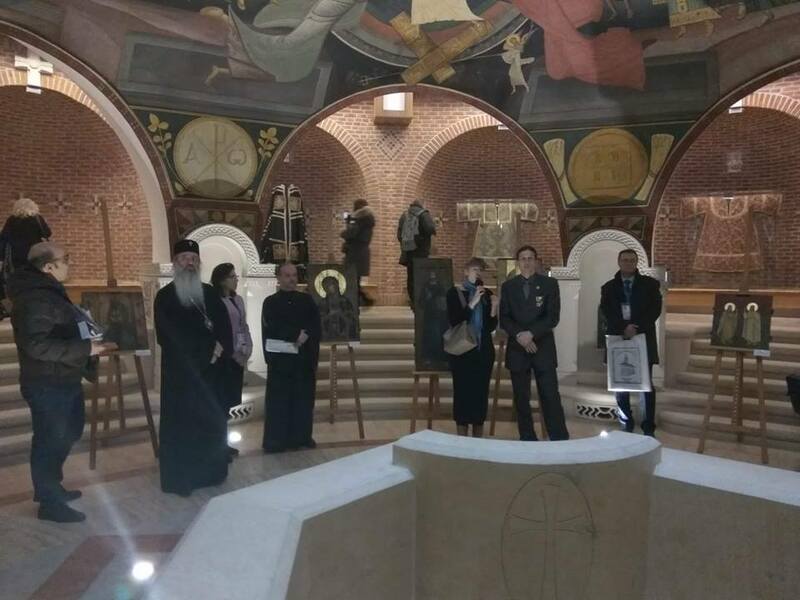 Archimandrite Cyril Hovorun, Prof. at the Loyola Marymount University, who is a member of the PFVMH Board of Trustees, and the icons’ authors, who are the mobile hospital’s main sponsors, conducted the presentation. 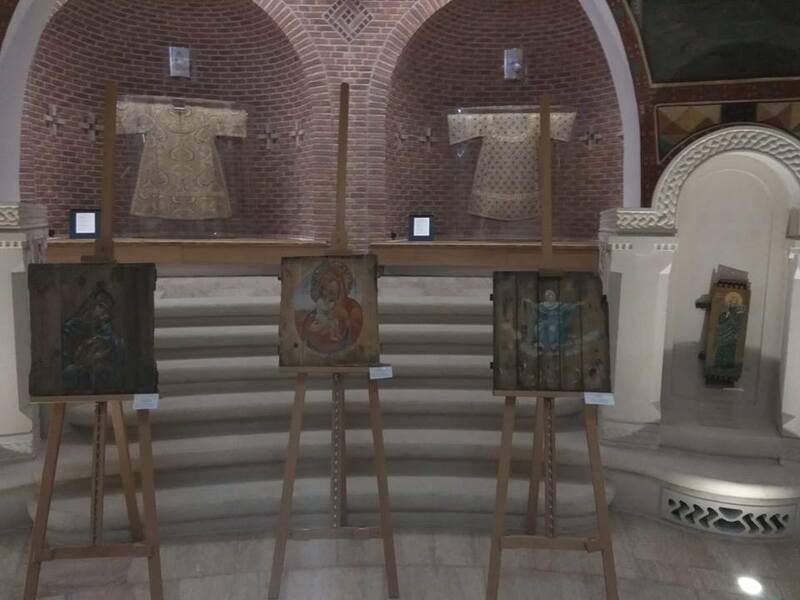 The presenters outlined the project’s main idea: transforming death (symbolized by ammo boxes) into life (traditionally symbolized by icons in Ukrainian culture). 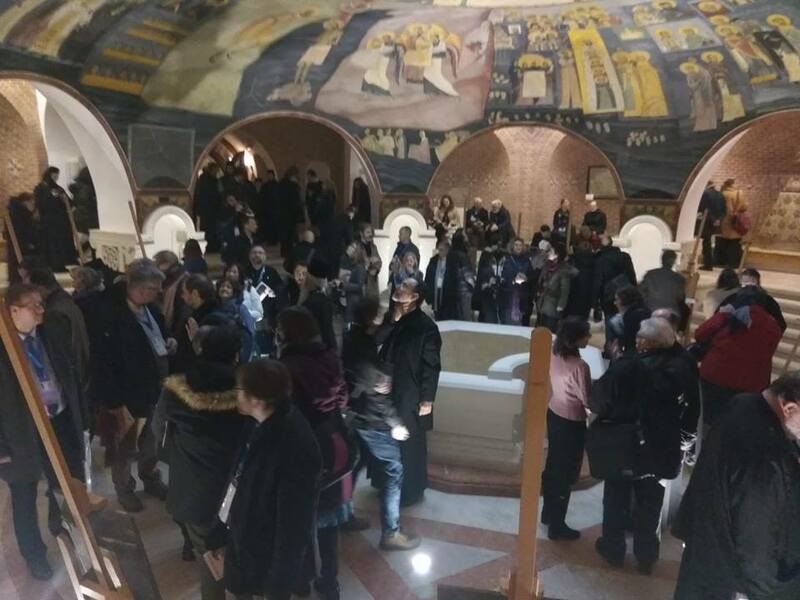 They also told about the PFVMH, through the collaboration with which this victory of life over death happens not only on the figurative and symbolic level but also in reality. 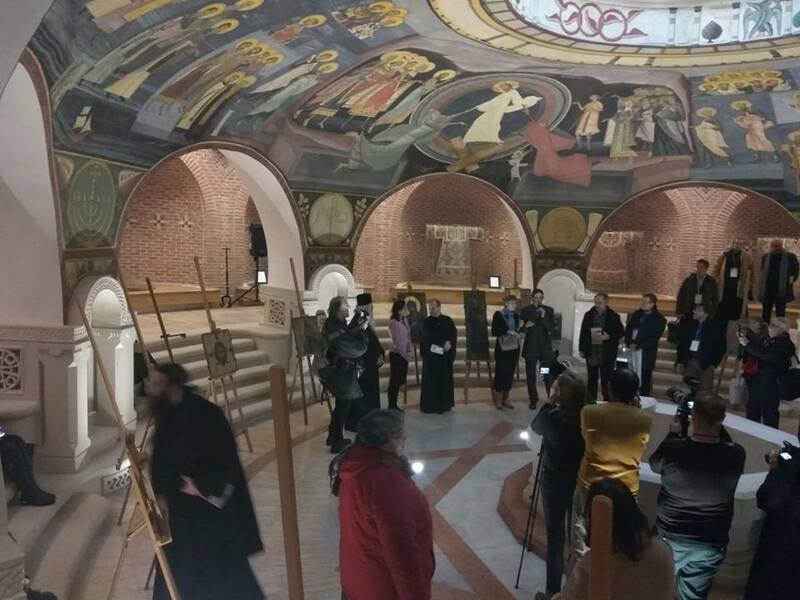 According to Archimandrite Cyril, the PFVMH experience is an utterly valuable example of how to solve wartime problems. 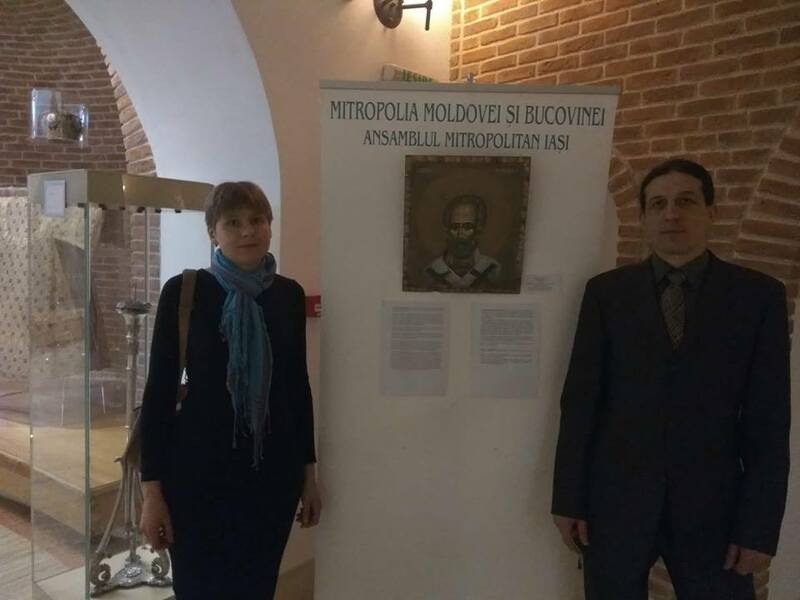 The Inaugural Conference coincided with the establishment of the Orthodox Church of Ukraine. 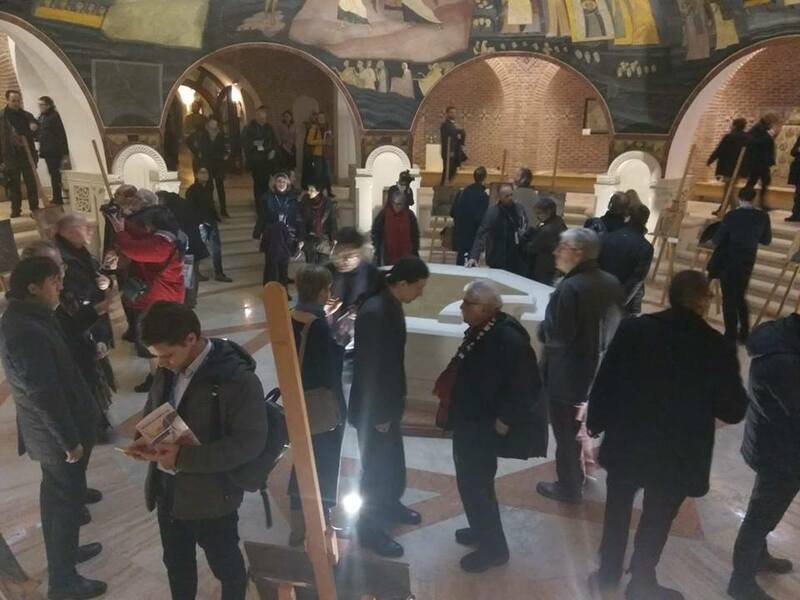 “What a pleasure it is to see a couple of hundreds of intellectuals who discuss theological issues, including our tomos, showing respect to each other, without hatred and hysterics,” Oleksandr Klymenko shared his impression of the conference. 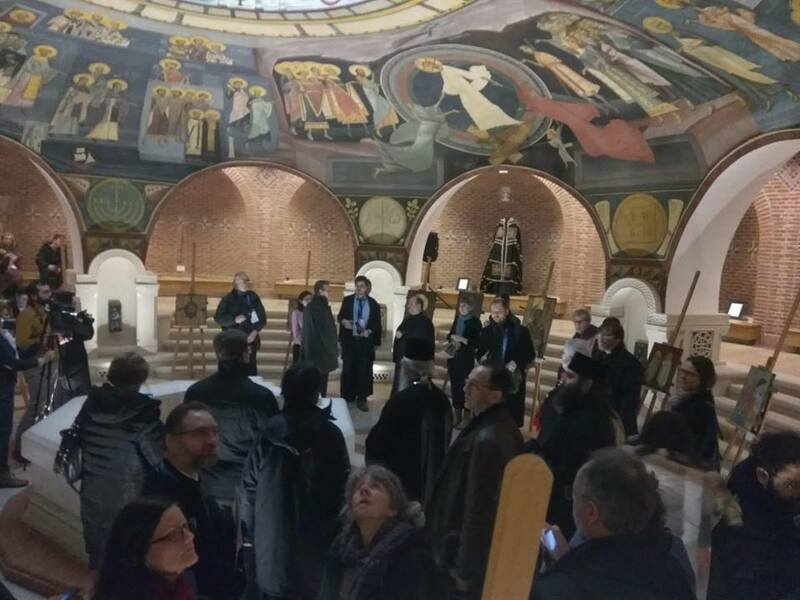 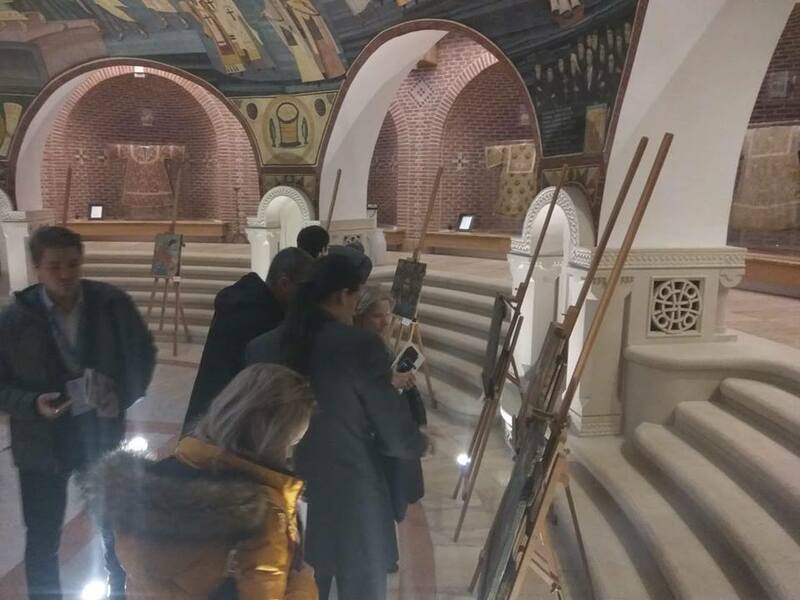 According to the artist, the presentation visitors demonstrated quite an interest not only in the theological content of the project but also its social aspect as well as the PFVMH activities. 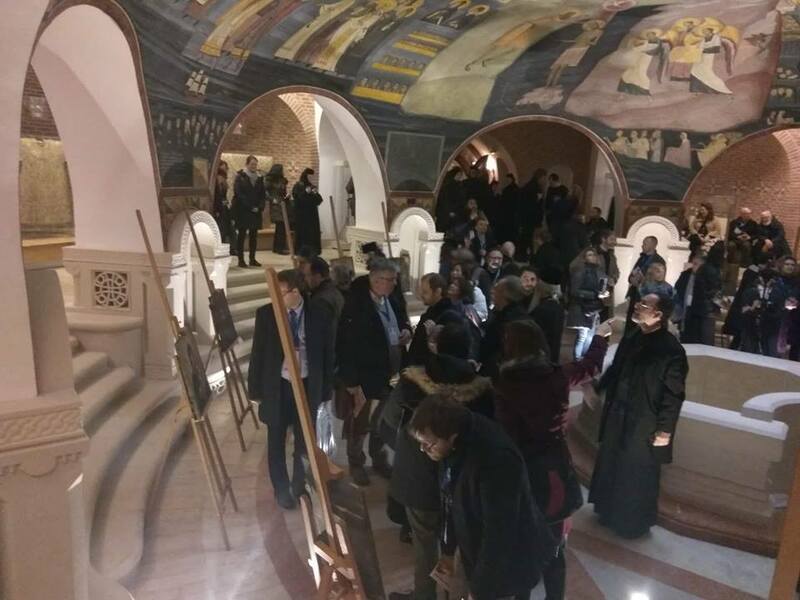 “Unlike the usual concern about the situation in Donbas, which is characteristic of the world’s political elite, the leading Orthodox theologians (at least, those who visited the presentation) have understood and felt the pain and tragedy of this war. 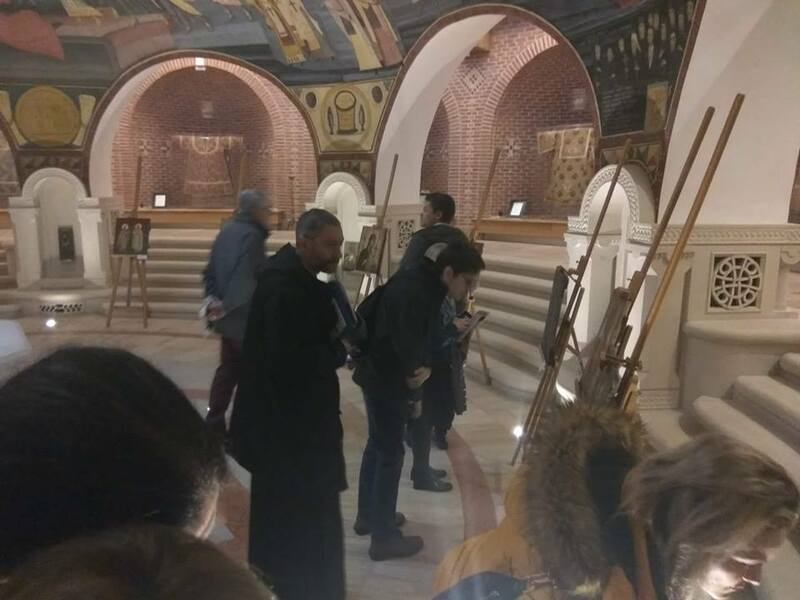 Our special thanks to Fr. 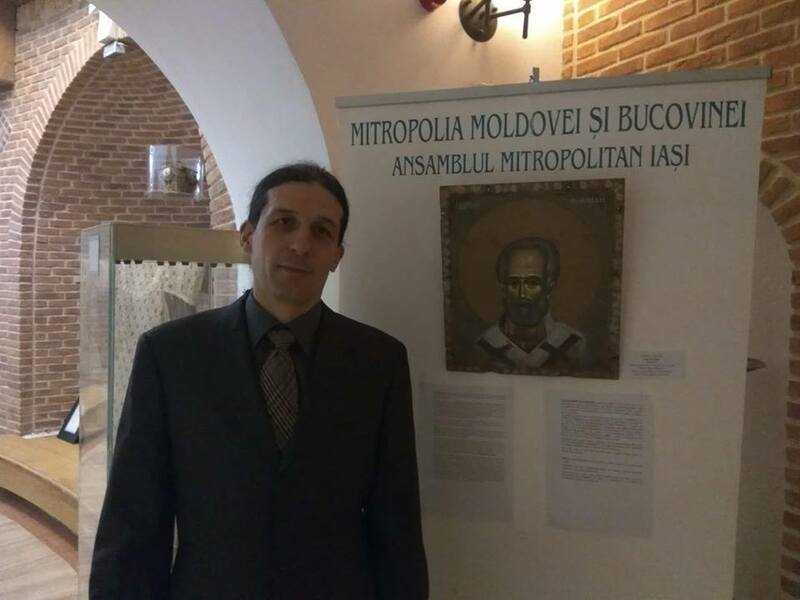 Cyril Hovorun for his speech at the presentation. 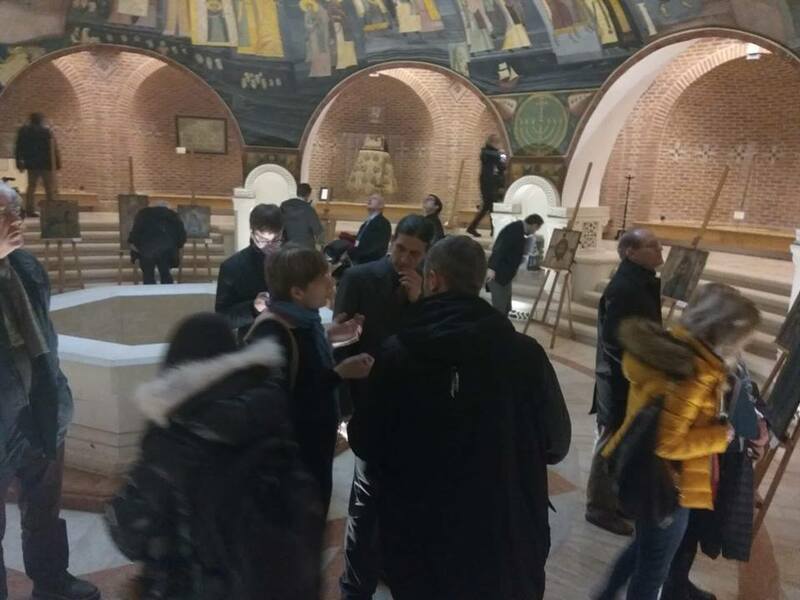 The issue of Ukrainian autocephaly will be discussed at the conference tomorrow. 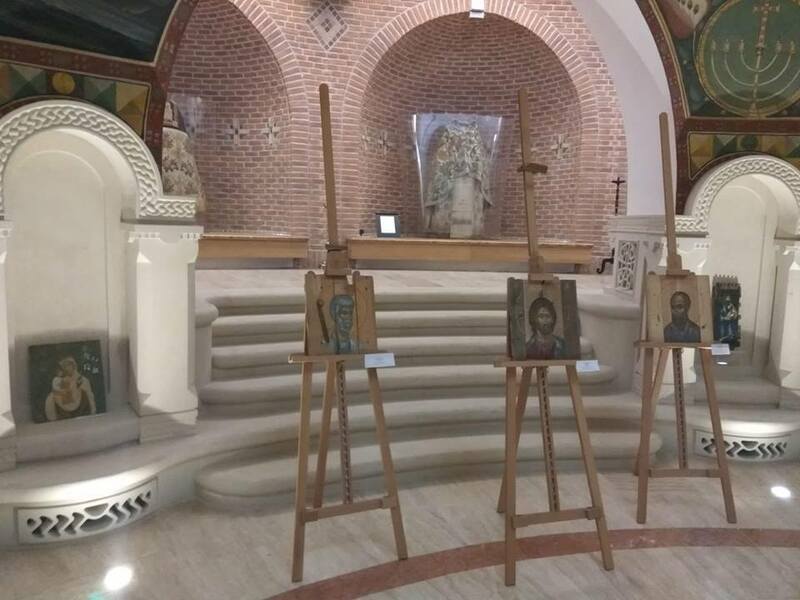 I hope that our exhibition has become a good prologue for the discussion and managed to put necessary accents in this complicated and so painful for us all theme,” Oleksandr Klymenko wrote in his Facebook. 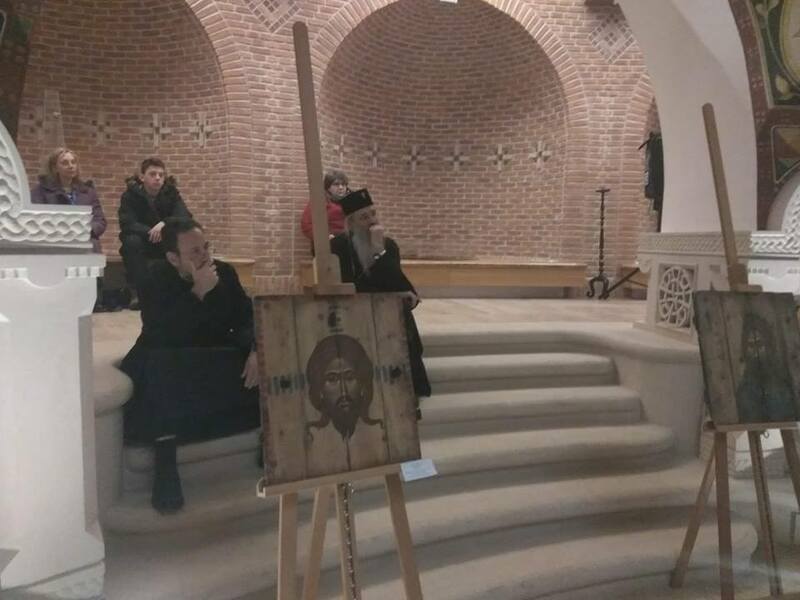 As soon as Monday, an Icons on Ammo Boxes exhibition will open in the United States – it will be hosted by the Indiana University’s Center for Constitutional Democracy. 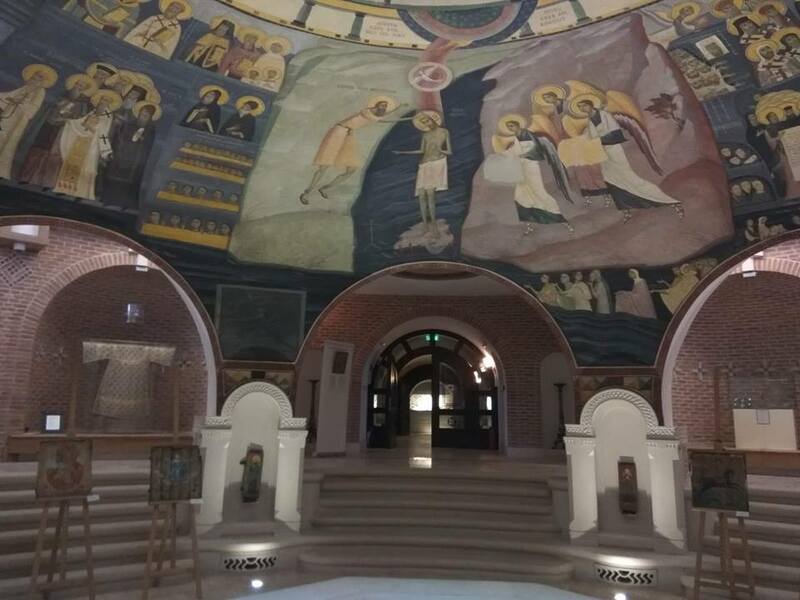 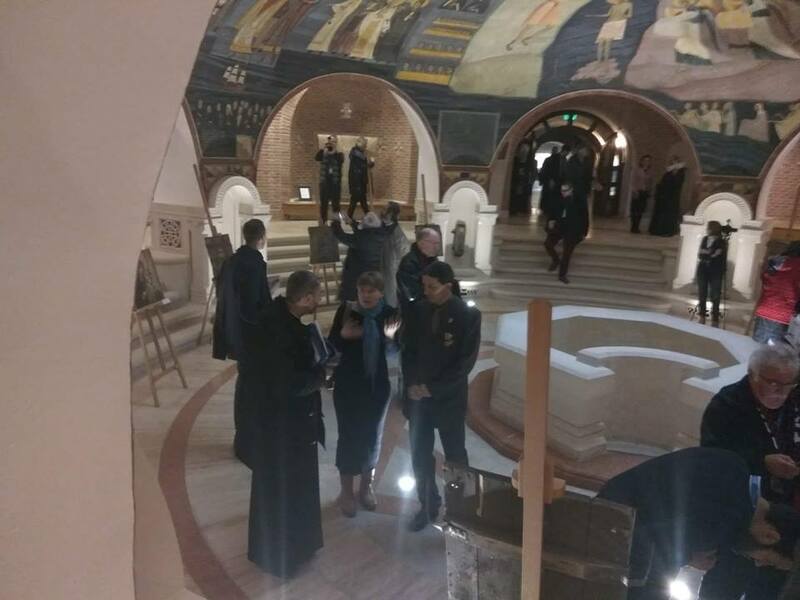 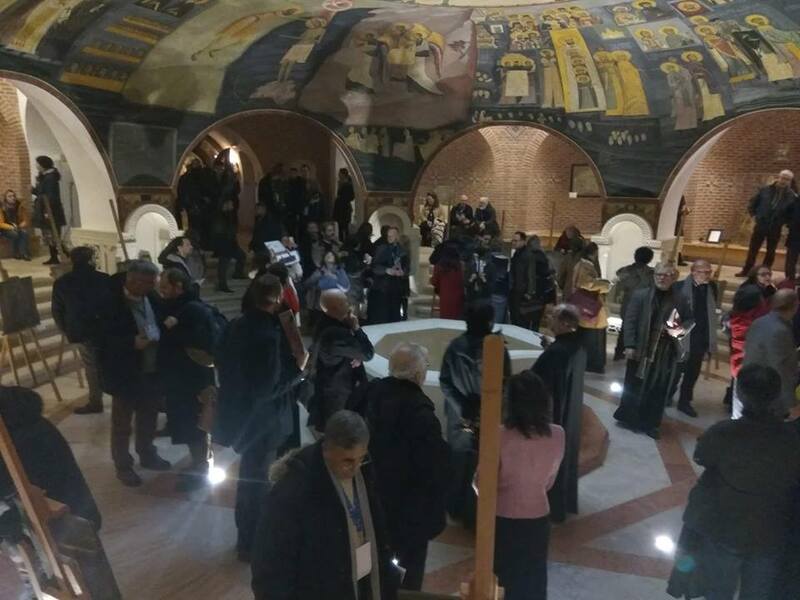 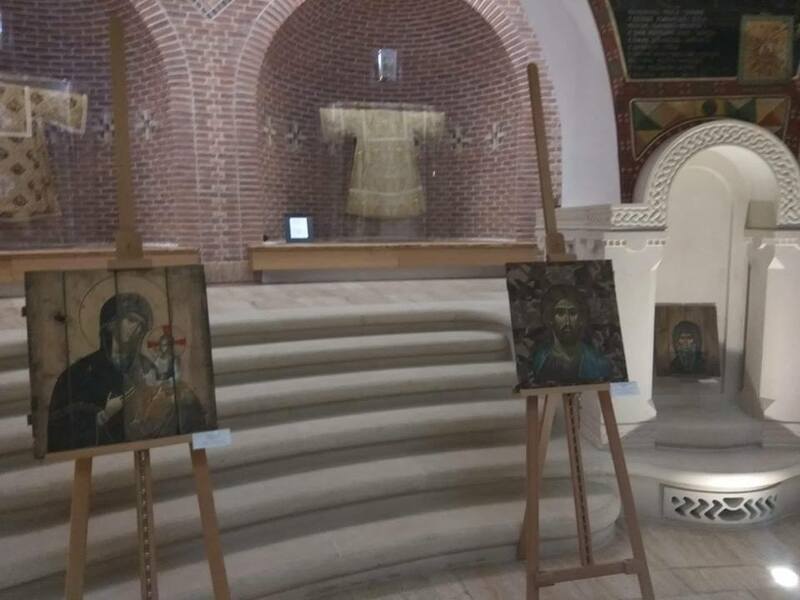 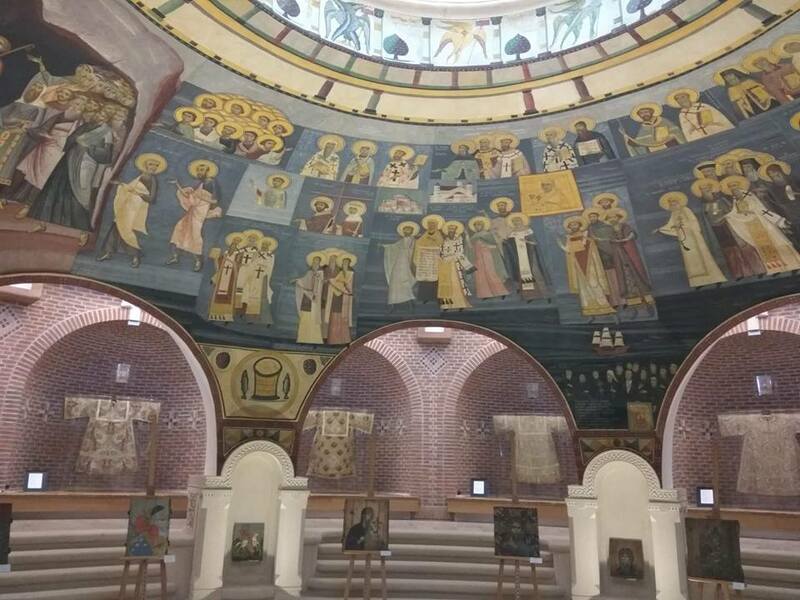 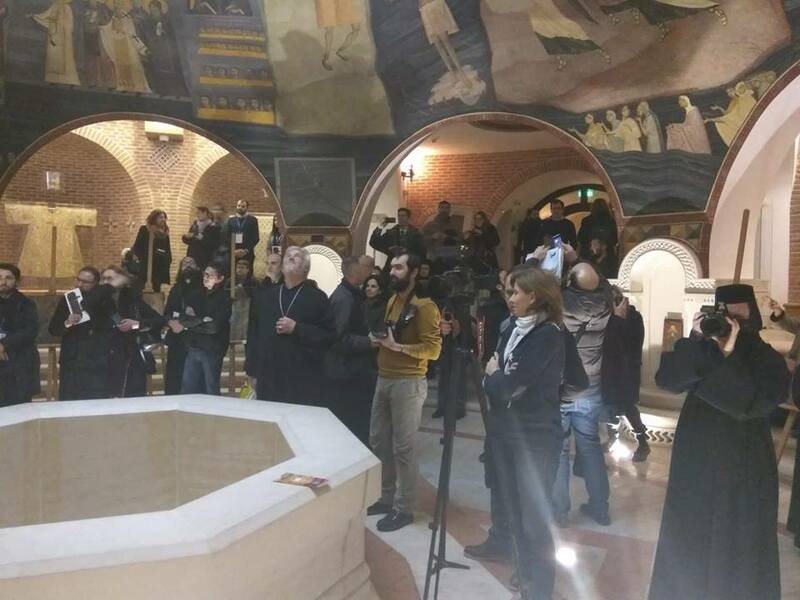 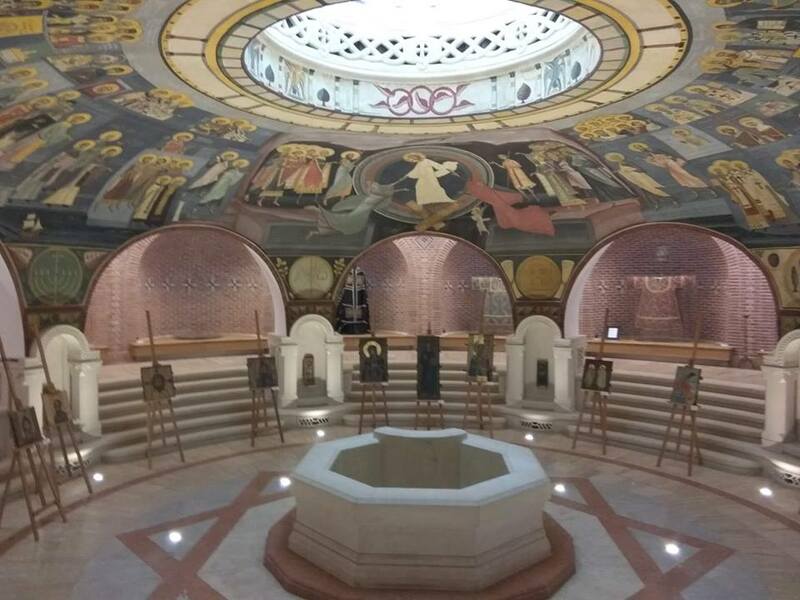 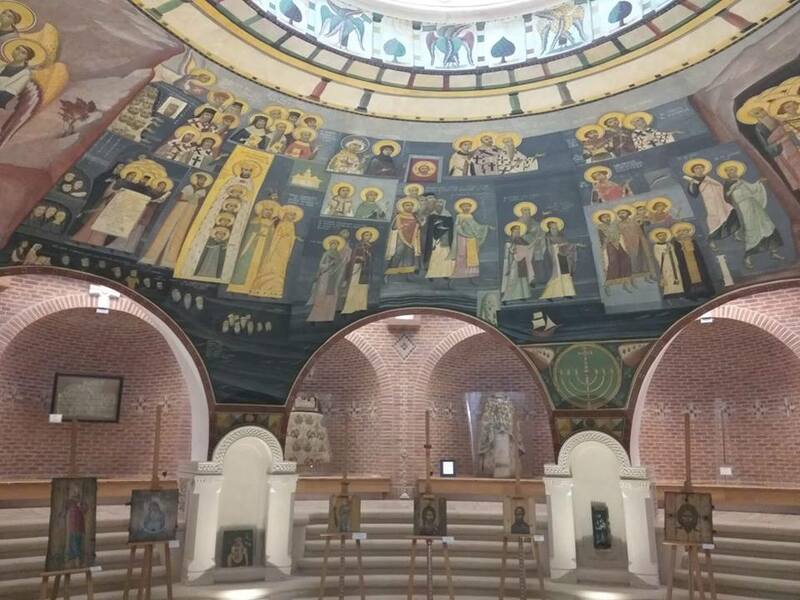 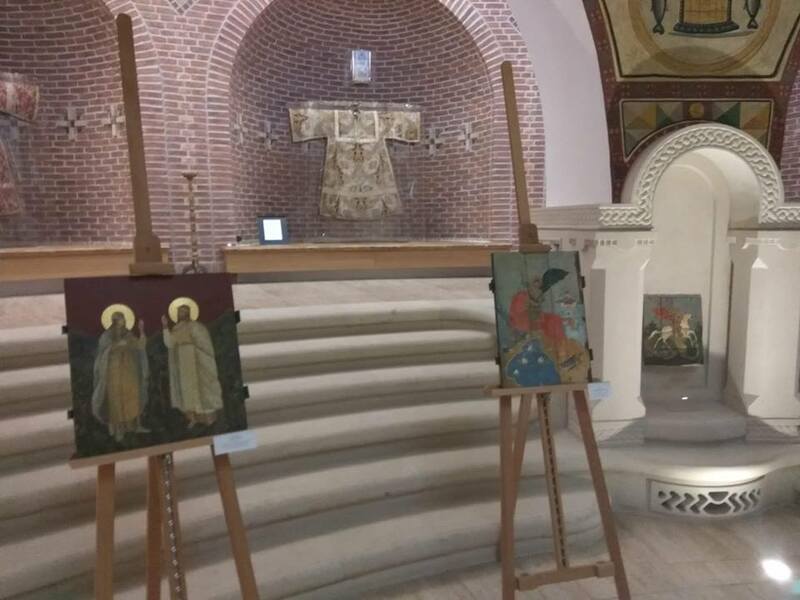 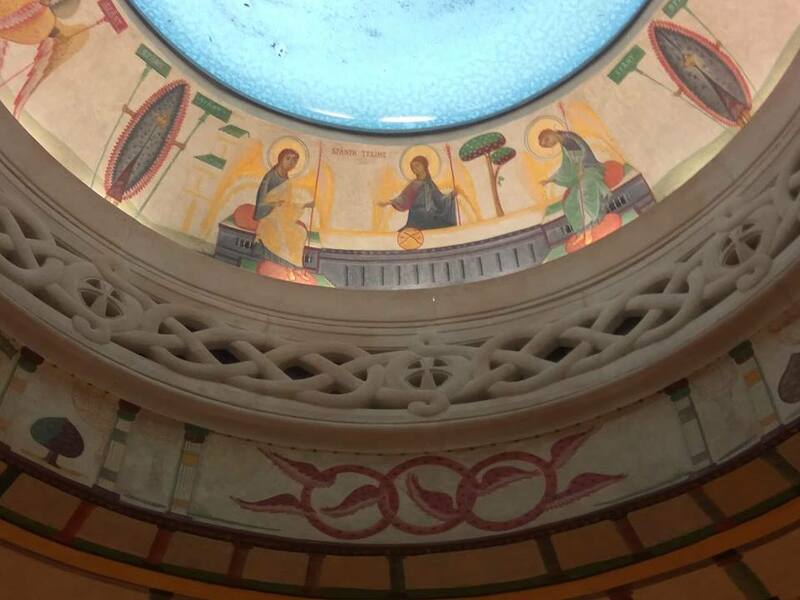 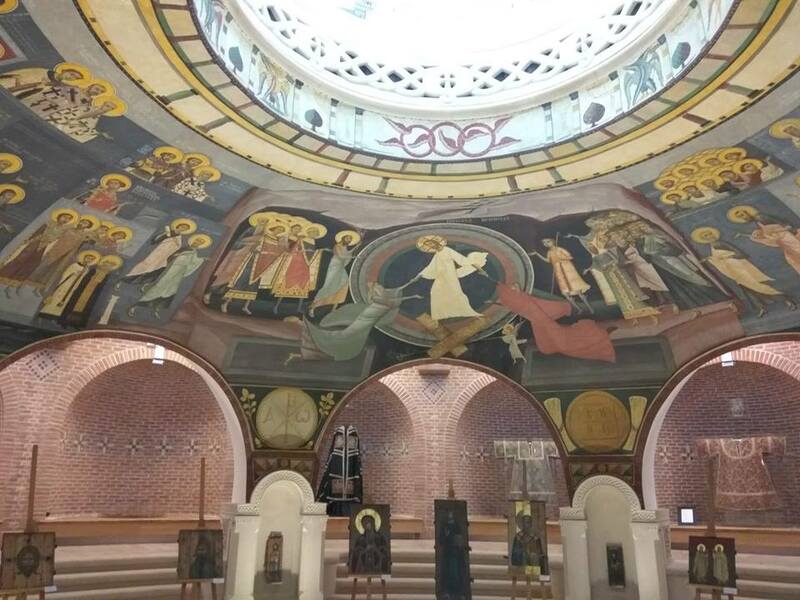 Earlier, icons by the PFVMH’s main sponsors were exhibited at the European Parliament, Parliaments of Ukraine and Lithuania, St. Sophia Cathedral in Kyiv, Kyiv Pechersk Lavra, and the Lithuanian Embassy in Ukraine. 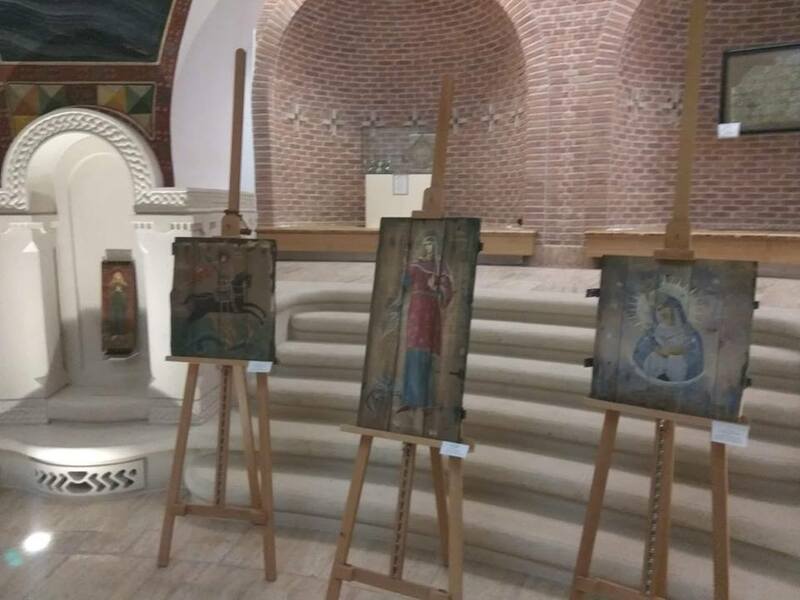 The icons were displayed in The Hague, Antwerp, Berlin, Frankfurt am Main, Munich, Hanover, Leipzig, Bonn, Cologne, Warsaw, Vienna, Lublin, Prague, Rome, Milan, and Catania on Sicily, Los Angeles, Edmonton, Winnipeg, Toronto as well as the Ukrainian cities of Lviv, Lutsk, Mariupol, Dnipro, Peremyshl, Kamyanske, and Pokrovsk. 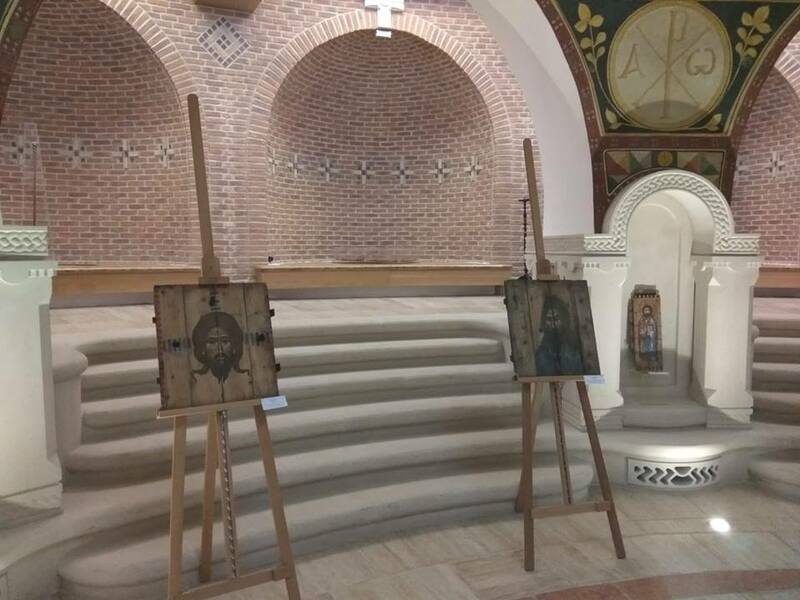 Exhibitions of the icons on ammo boxes were also part of the 25th Economic Forum in Krynica, Poland, and the 8th Kyiv Security Forum, and were held in the University of Alberta in Canada, the Ukrainian Catholic University in Lviv and the Superior Institute of Religious Sciences of St. Thomas Aquinas in Kyiv.